Robotics law should take cues from cyberlaw. What robotics law can learn from cyberlaw. 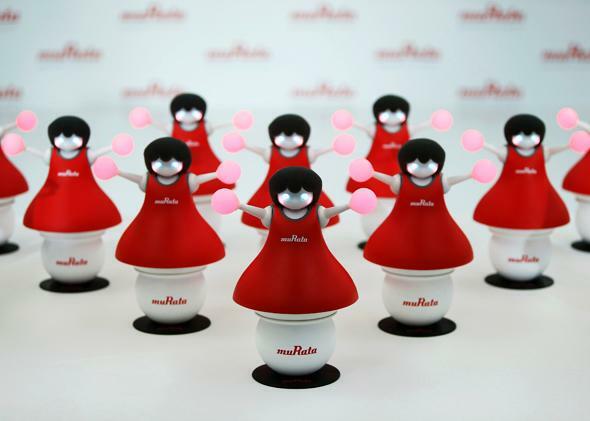 Japan’s Murata Manufacturing Co. Ltd’s Murata Cheerleader robots balance on balls and synchronize as a team by utilizing the latest sensing and communication technology. Robots present new legal challenges, different from those posed by the Internet. In the early days of dot-com, the law found the Internet unsettling. That a buyer in one location could access the website of a seller in any other forced courts to revisit basic questions of jurisdiction and federalism. The potential to share and edit software and other digital objects introduced novel questions of ownership and control. In the mid-’90s, a movement arose among legal academics to address these and similar challenges. The central tensions of “cyberlaw” flow from the characteristics that distinguish the Internet from prior or constituent technology such as computers or phones. Twenty years in, some early cyberlaw questions have seen a kind of resolution. Legislatures or courts have weighed in on a range of topics from intermediary liability to free speech. Vigorous debate continues—around “net neutrality,” for instance, and the impossible wages of privacy. But even here participants have at least a sense of the basic positions and arguments. Law, in other words, is catching up. But technology has not stood still. The same military that funded the early network that became the Internet now funds robotics competitions. The same household-name Internet companies that brought us search and social networks have begun a large-scale pivot toward robotics and artificial intelligence. Amazon purchased the robotics company Kiva Systems to organize its warehouses. Google seems to be on a robotics and AI shopping spree. State and federal lawmakers now find themselves authoring laws around the domestic use of drones and issuing license plates to cars without drivers. Cyberlaw had its share of doubters, too. In what has become cyberlaw lore, judge and Chicago law professor Frank Easterbrook took the inauspicious occasion of an inaugural cyberlaw conference keynote in 1996 to throw cold water on the entire enterprise. He famously likened studying Internet law to studying the law of the horse. Sure, many cases involve horses as a factual matter. Disputes arise when horses are bought and sold, cared for by veterinarians, or if they kick people. But “[a]ny effort to collect these strands into a course on ‘The Law of the Horse’ is doomed to be shallow and to miss unifying principles.” Cyberlaw is today taught at most law schools in the country (though, interestingly, not the University of Chicago). I disagreed with Easterbrook then and I disagree with Doctorow now. Robotics has a different set of essential qualities than the Internet, which animate a new set of legal puzzles. The field combines, arguably for the first time, the promiscuity of information with the capacity to do physical harm. Today, software can touch you, which may force courts and regulators to strike a new balance. Robots display increasingly emergent behavior—in the Steven Johnson sense of wondrous complexity created by simple rules and interactions—permitting the technology to accomplish both useful and unfortunate tasks in unexpected ways. And robots, more so than any technology in history, feel to us like social actors—a tendency so strong that soldiers sometimes jeopardize themselves to preserve the “lives” of military robots in the field. Unlike the Internet, robotics blurs the very line between people and instrument. If the United States does not maintain “effective control” over its autonomous submarines, perhaps they are not entitled to passage through Chinese waters under international law. If a defendant injures a person while trying to vandalize an anthropomorphic robot, rather than a wall, it arguably furthers the purposes of criminal and tort law to transfer intent. These are not scenarios about which cyberlaw has much to teach. The parallels are, of course, also strong. Drones, no less than the Internet, raise questions of speech, innovation, and privacy. Courts that struggled for the proper metaphor to apply to the Internet will struggle anew with robotics. Scholars interested in the way we are hard-wired to think of going online as entering a cyber “place” will also be interested in the way we are hardwired to treat social technology as though it were a person. Those who consider how software constrains human behavior may be interested in the reverse question of how people and institutions can manage behavior generated by software. But the greatest reason to look to cyberlaw may be for the way it encouraged an interdisciplinary pragmatism between scholars—a trend I hope will continue with robotics. Easterbrook presumably knows there is no Nobel Prize in computer science. But he was wrong here in a deeper way. Cyberlaw is today a deeply interdisciplinary enterprise, full of meaningful collaboration across a wide variety of training. Many of its brightest scholars and advocates take great pains to follow the technology and social science. Not only have lawyers risen to the occasion of learning about technology and its effects; the community around cyberlaw has spurred technologists to develop a deeper understanding of law and policy. The solution space, meanwhile, inevitably contains not just legal but technological prescriptions—so much so that critics of cyberlaw bemoan its “technological solutionism.” We are not talking here of an intellectual fascination with comparative theory but a practical agenda of looking across disciplines to solve real problems. There can be no deep understanding of the interaction between robotics and the law without the hard-fought interdisciplinary pragmatism that grew up around cyberlaw. The essential qualities of robotics implicate computer and social science to a degree even greater than the Internet. Whether at conferences or hearings, in papers or in draft legislation, the legally and technically savvy will need to be in constant conversation. We are, as it happens, already seeing this: Interdisciplinary collaborations begin to crop up around driverless car and drone regulation. Events such as the annual robotics law and policy conference We Robot attract nearly as many roboticists as lawyers. Robot law is not Internet law; it’s a horse of a different color. But as we tackle this new field, we can’t afford to ignore two decades of important insights. This essay was adapted from the author’s forthcoming article in the California Law Review, “Robotics and the Lessons of Cyberlaw.” Future Tense is a collaboration among Arizona State University, New America, and Slate. Future Tense explores the ways emerging technologies affect society, policy, and culture. To read more, visit the Future Tense blog and the Future Tense home page. You can also follow us on Twitter.